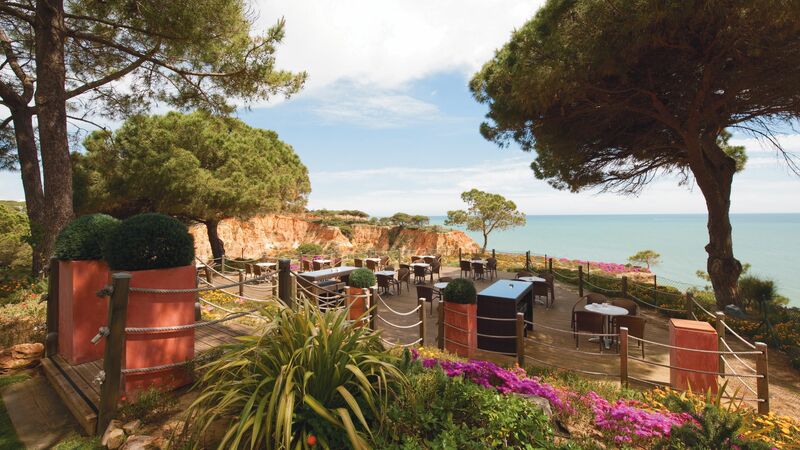 Enjoying uninterrupted sea views and overlooking Praia da Falésia in the charming town of Olhos D'Agua, the Porto Bay Falesia occupies an outstanding elevated position on the ochre coloured cliffs typical of the Algarve. Surrounded by lush green landscapes, dotted with pine trees and fragrant orange groves, guests will enjoy the direct access (via a number of steps) to the eight kilometres of sandy beach below. The hotel has a good choice of bars and restaurants whilst a selection of shops, just 500 metres away, offers an array of facilities. The light and spacious guest rooms retain a traditional feel with tiled headboards and vibrant colours. Hotel child prices apply to ages 2-12 years. Direct access to the beach is via 137 steps, therefore the hotel may not be suitable for those with mobility difficulties. 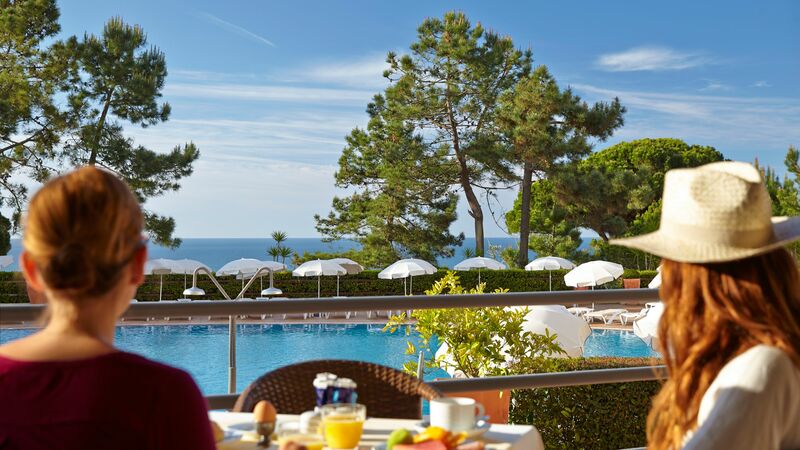 Restaurant Madeira is serving international cuisine from a buffet for breakfast and dinner, inside or on a terrace overlooking the pool. During certain times of the year, this restaurant may serve a set menu dinner instead. Guests on bed & breakfast, half board, full board, half board plus and full board plus can dine at this restaurant. Enjoy traditional Italian à la carte cuisine served indoors or on the terrace, accompanied by live music performances on selected dates during the summer. Guest on half board, full board, half board plus and full board plus will receive a credit to dine from the à la carte menu. Relax with a glass of cocktail or a sparkling wine at the Buzios bar, whilst listening to the soft tones of live music. Outdoor pool bar serving snacks and light à la carte meals. Protected by thirty meter high rocks and accessed directly from the hotel via steps is the Falesia beach. Relax on the golden sand and enjoy the beautiful views over the Atlantic ocean. Alternatively, one of the hotel's swimming pools provides an ideal place to soak up the sun. There is a main outdoor freshwater swimming pool and a separate freshwater children's pool as well as indoor heated pool located in the Spa. 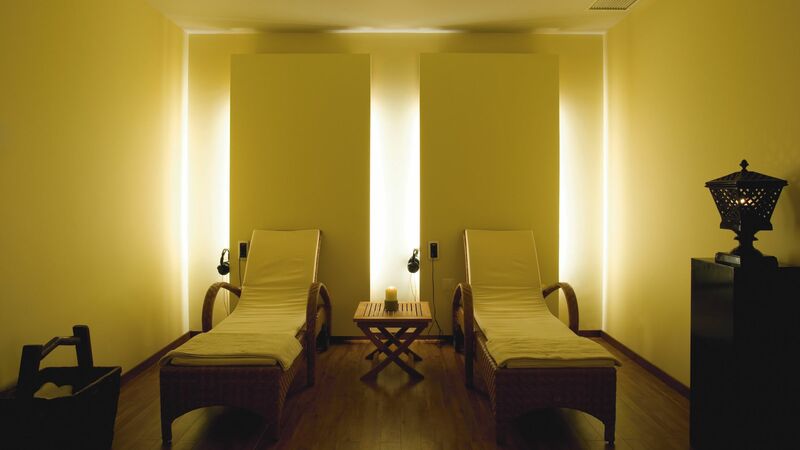 Get pampered at the Porto Bay Falesia Spa and visit one of their treatment rooms for a relaxing massage, refreshing facial or detoxing body wrap. There is a full range of beauty treatments available as well, including manicure, pedicure and the all important finishing touches. After your treatment, relax by the indoor swimming pool with Jacuzzi®, sauna and a Turkish bath or head to the gym for a stimulating work out. Please note children under 16 years are not permitted in the spa. 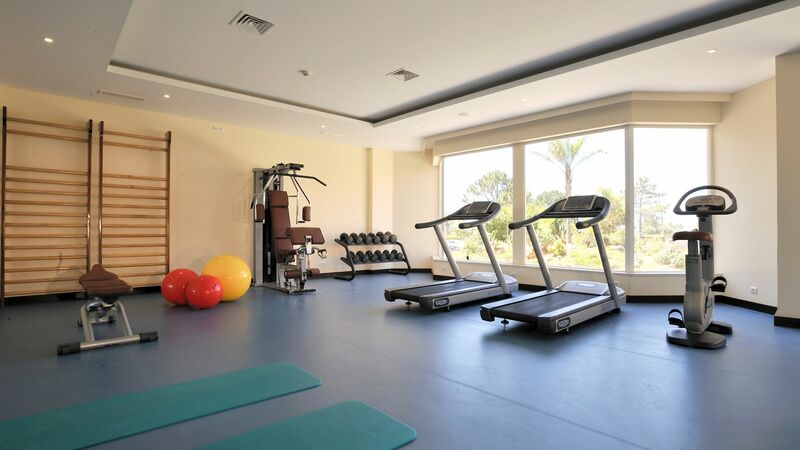 For the sports enthusiasts, Porto Bay has its own putting green and two tennis courts to enjoy a game or two in the sun. It also has a area for French boules (petanque) and a small gym. A games room is also available to guests. The little fishing village of Olhos d'Agua has an enviable location on the southern coast of Portugal. 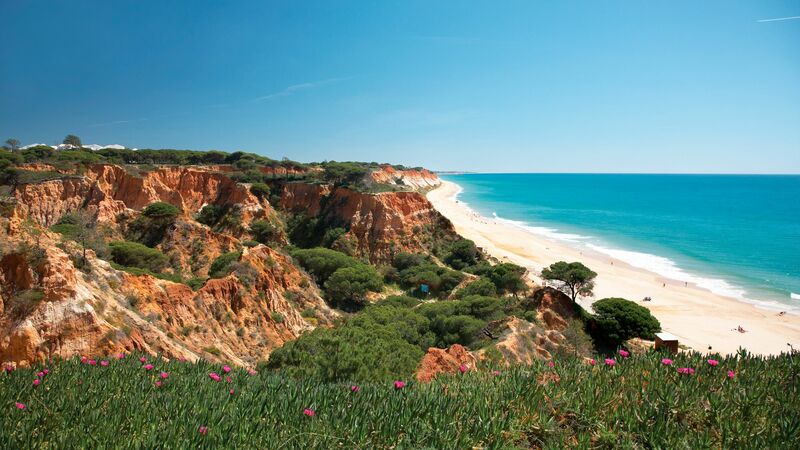 Set against the pale sandstone cliffs of the Algarve, the village has buckets of charm and an active waterfront humming with local fishermen. Main Street is home to dozens of bars and restaurants serving local cuisine, including, naturally, freshly netted fish. The lovely local beach is Praia d'Agua. It's a fairly small stretch of sand, but there's still plenty of space to throw down a towel, paddle in the shallows and explore the rock pools. The picturesque promenade invites a wander - it's fringed with palm trees and looks out across a sea dotted with colourful fishing boats. The town has a surprising buzz after dark, with Main Street's bars and restaurants packed out with locals and visitors. Twin Standard rooms feature twin beds, bathroom with bath and overhead shower and a balcony with table and chairs. Minibar, wifi and safe are available at extra charge, payable locally. Twin Side Sea View rooms feature twin beds, bathroom with bath and overhead shower and a balcony with table and chairs. Minibar, wifi and safe are available at extra charge, payable locally. Twin Sea View rooms feature twin beds, bathroom with bath and overhead shower and a balcony with table and chairs. Minibar, wifi and safe are available at extra charge, payable locally. Superior Rooms are more spacious and feature twin beds, bathroom with bath and overhead shower and a balcony with table and chairs. Minibar, wifi and safe are available at extra charge, payable locally. Junior Suites include twin beds with an adjoining living room and a veranda with table and chairs with a mountain view. A minibar, wifi and safe are available at an extra charge, payable locally. Save up to 12.50% discount on the hotel price for holidays between 01 November 2019 - 30 April 2020, booked by 31 October 2019. Just spent a fantastic week at the Porto Bay Falesia. This was our second holiday here and it was every bit as good or maybe even better that the last time. Beautiful hotel, great food and very friendly and efficient staff. We had upgraded to a superior room with sea view and it was well worth it. Room was spacious and the twin beds huge. It also had a large balcony which was perfect for sunbathing and admiring the views. The food was also excellent. The variety of food for both breakfast and dinners was amazing and the catering staff put so much effort into the presentation of the food as well as the quality and amount of choice. Can?? ?t wait to go back. We stayed here 8 years ago, had fond memories of the hotel so decided to return- well we were not disappointed! 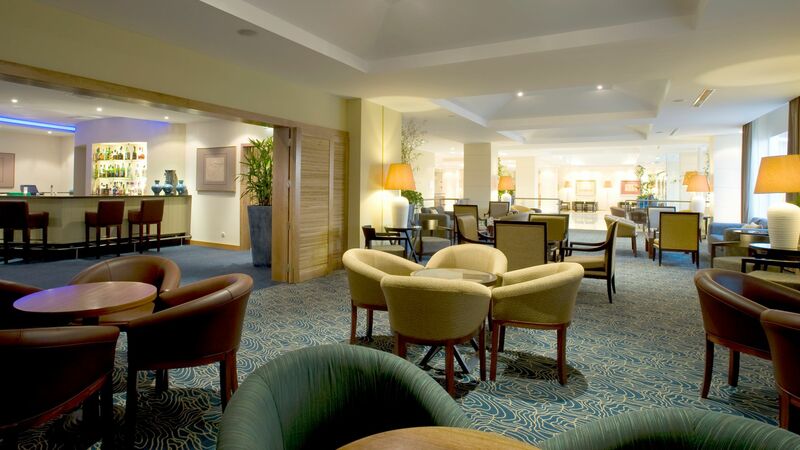 We have stayed at other Porto Bay hotels in Lisbon and Madeira and found them all of a consistently high standard.... comfortable, clean, friendly. Breakfast was excellent, such a varied choice. Often had a snack or drink by the poolside in the sunshine during the day. 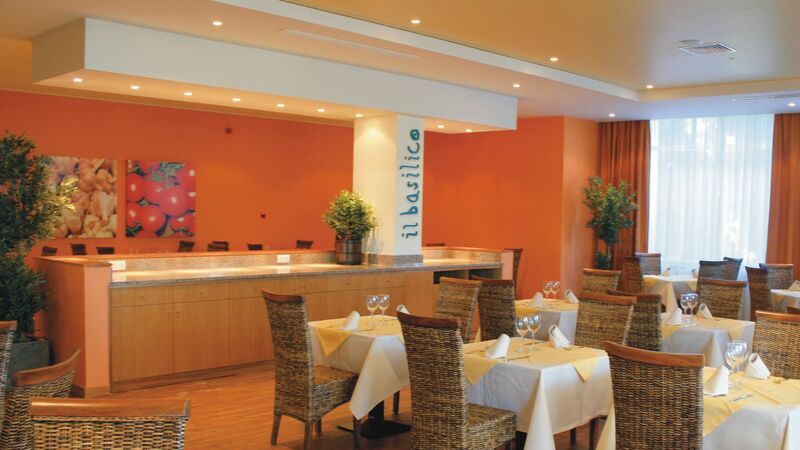 We had an evening meal at the Falesia restaurant 3 times, very special, terrific sirloin steak! Great saxophonist & Fado. It was brilliant just to relax on sunbeds or sit in one of the gardens ?? ?viewing points??? overlooking the stunning cliffs, beach and surrounding woodland. Or walk down the picturesque 127 steps walkway winding down to the beach where the sand is gloriously golden and clean. We had a brilliant two weeks just relaxing in these lovely surroundings, will certainly not leave it so long before we return! Just returned from this hotel .The staff have been very helpful and friendly. It is spotlessly clean and located on a cliff top. The hotel has a lovely pool and pool bar and lovely quite areas. The food has been amazing with something for everyone. Cannot fault the hotel .food or service. would definitely recommend.